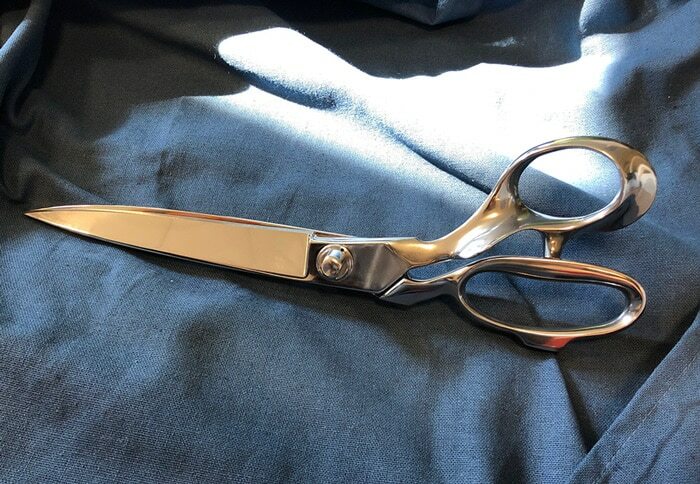 The 13" side bent tailor's shears are for the skillful. Handmade to perfection, these magnificent, long blades give you a consistent, sublime and precise cut. To store between uses, a wide bolt allows upright workbench resting. Hot forged and made with carbon steel, these shears are the ultimate tailor's tool. And as such, you will receive them in a unique presentation box.